Despite surpassing men in college and graduate degrees and constituting over half the workforce, women remain woefully underrepresented in senior leadership roles in every industry and sector. The reasons for this gender gap include a complicated web of cultural and institutional barriers, including, but not limited to, a lack of flexible and family-friendly work options and a cultural bias against taking time off and in favor of work/life imbalance. As the bottom-line boost that comes from increased diversity becomes evident, however, more organizations are investing time and resources in policies that promote gender equality, and many commentators now say that women themselves are a major source of the problem. Successful higher-up females such as Facebook COO Sheryl Sandberg and Katty Kay and Claire Shipman, senior broadcast journalists and authors of The Confidence Code: The Science and Art of Self-Assurance—What Women Should Know, have argued that the gender gap has roots in women’s own behaviors and psyches. They say that while women have proven their equal competence over and over, they fall significantly behind their male counterparts in self-confidence and that the latter often matters much more on the road to promotions, pay increases, and the C-suite. These confidence proponents point out that, on average, men have a much greater belief in themselves and their deservedness for higher achievement and promotions than women. That men tend to overestimate their abilities, while women tend to underestimate the same. That men tend to be self-centered and attribute their success to their own greatness, while women attribute their success to help from others, hard work, and luck. That through a still debated mix of nature and nurture, men are predisposed to embrace conflict and seek power and dominance, while women are prone to avoid conflict and seek emotional connection and bonding. That men are better at demanding to be heard and “leaning in,” while women are good at listening and tend to “lean out.” In short, that for whatever reason, men generally have much bigger egos than women and have been more greatly rewarded for it in corporate America. So far. It’s true that in our society, assertiveness and even arrogance are too often perceived as competence, and so the argument from Sandberg and others goes that to close the leadership gap and get ahead, women need to act more like men. They need to start believing in their own greatness; they need to be talkers not listeners. And everyone must begin to view women who possess these traits and behaviors as admirable and capable (like Steve Jobs) and not bossy and unlikeable (like Miranda Presley). Here’s the problem with this argument: First, we now know that the traits that make a man more likely to get a leadership position are exactly what can make him less effective at it. Many leaders fail, and it often comes down to hubris. We already know from research that leaders who are humble, give more than take, and cultivate emotionally positive work environments generate more employee engagement and productivity. Second, the times are changing dramatically and rapidly due to technological automation, which will only serve to exacerbate the ineffectiveness of brash, arrogant, overly confident leaders. It would actually behoove men who want to get ahead to hone their emotional intelligence and humility and start behaving more like women rather than the reverse. As major advances in artificial intelligence, deep machine learning, and computing power lead to technological displacement of cognitive and manual human jobs up and down the economic spectrum, the relevant skills left for humans are those that machines have yet to conquer: critical, creative, and innovative thinking and emotional engagement with other human beings. Research studies show that people who are open-minded, compassionate, empathetic, collaborative, and humble are far better thinkers and relationship-builders. As such, only leaders who embody and can role-model and cultivate those skills and behaviors in others will be successful, and stereotypically masculine and arrogant traits will lead to even more leadership dysfunction. The Smart Machine Age will make obsolete the dominate “command and control” Industrial Revolution model of business organization and leadership styles based on big egos, compliance, and fear. As technology levels the playing field and makes operational efficiency no longer a competitive advantage, it will be the organizations that can innovate, quickly learn from mistakes, adapt to increasingly volatile technological changes, and get the best thinking, engagement, creativity, and continual learning from their human staffs that will be the most successful. Only leaders who listen more than talk, who lean out enough to collaborate with and develop others, and who don’t have an inflated sense of their own greatness will provide strategic advantages for the organizations for which they work. Leadership competence in these areas will speak for themselves, and neither men nor women will be rewarded for overconfidence or shouting about it. About the book: Humility Is the New Smart, a book about human excellence – how human beings can excel at the skills that smart machines and smart robots will not be able to do well in the next few decades. Edward D. Hess, a professor of business administration and Batten Executive-in-Residence at the University of Virginia Darden School of Business. Katherine Ludwig, a research, editing, and publishing associate at the University of Virginia Darden School of Business. 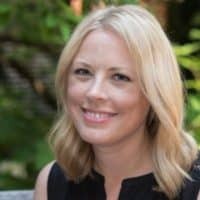 Katherine Ludwig is co-author with Edward D. Hess of Humility Is the NewSmart: Rethinking Human Excellence in the Smart Machine Age (Oakland, CA: Berrett-Koehler, 2017).